In 1989 I was lucky enough to go on a trip to Guatemala organized specifically for weavers. 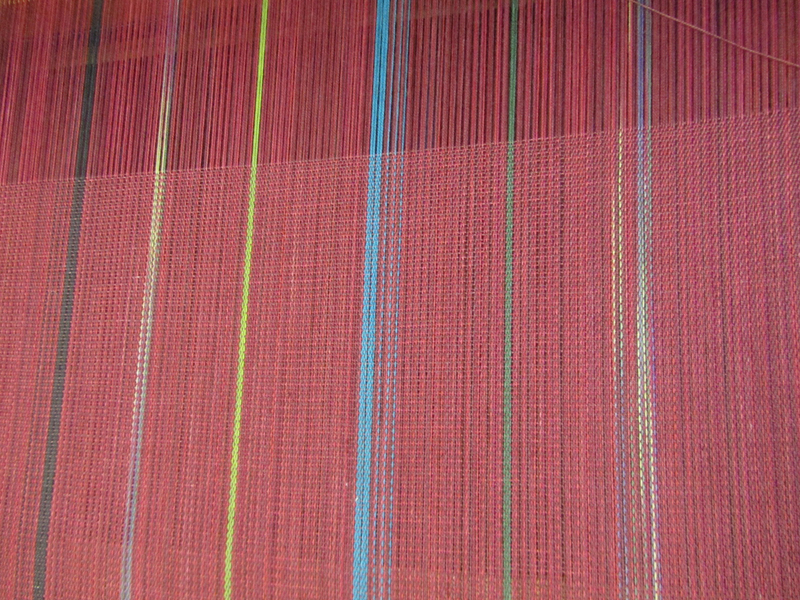 At the time I had been a productive weaver for 25 years. That trip started me on a long fulfilling journey. 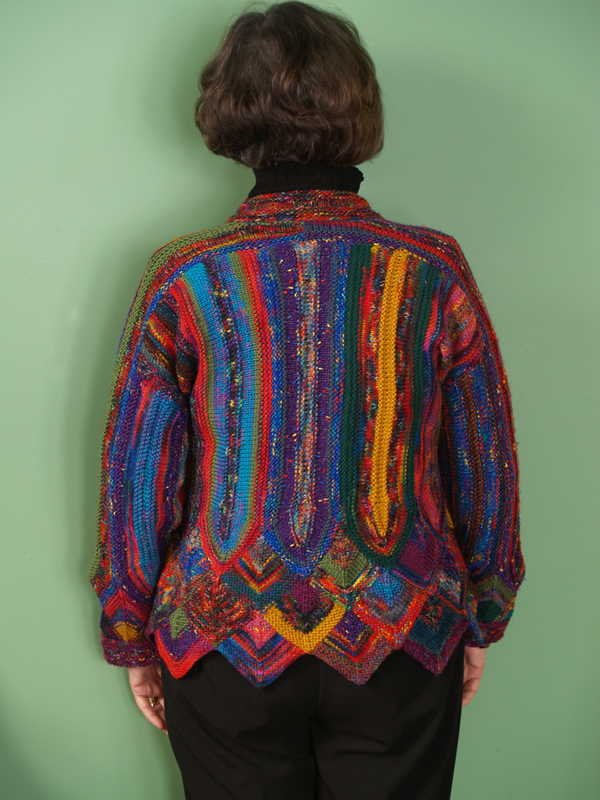 It changed my life in many ways: in the colors of my work, in the thinking I do while I am weaving and knitting, in how I see women’s work, in the things I value in life. In Guatemala and many other countries I have visited, the women weave their cloth using sticks, squatting in the hot, blinding sun while tied to a tree by their back strap loom. They have worked hard to raise the animals that give them wool and tend the fields that give them cotton. 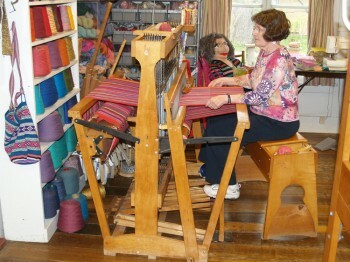 They must spin and dye the yarns before they begin the tedious task of weaving. Recently in Bolivia, way off in the distance, we often saw a woman herding her llamas with a baby on her back and a toddler at her side. She had already walked many miles to find pasture for her animals. As she walked she was probably spinning the wool with a drop spindle. This is a far cry from the large looms I work on in the comfort and safety of my home studio, using yarns I purchase. These women wake everyday and have the courage to face the hardships of their lives. 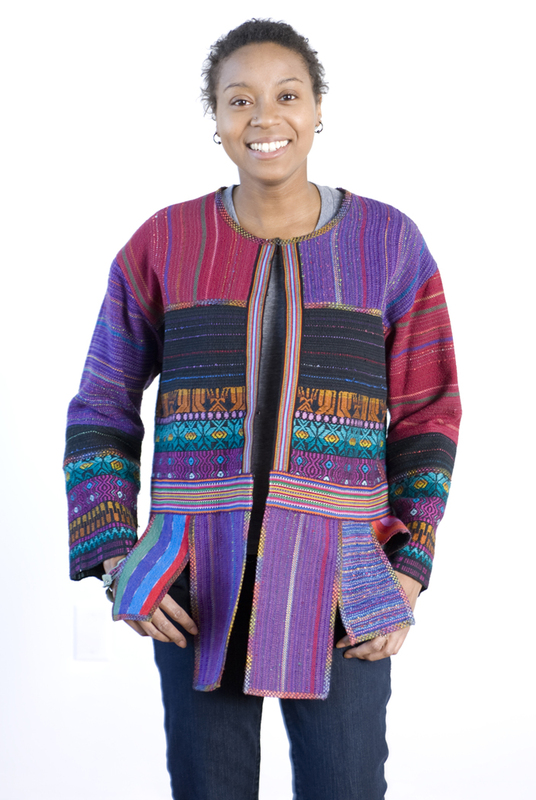 They also weave the stories of their people into their cloths, a way to pass their history on to children and grandchildren. They have both the skill and the courage to pass on these traditions and beliefs to the next generation yet learning to read and write is still out of reach for many. Since that Guatemala trip, I have collected fabrics during visits to other countries. Years have passed while I studied and appreciated these amazing cloths. I am captivated by their honest color, by their patterns, and by the lives that produce these images. Only recently have I been able to use these wonderful fabrics, woven and stitched with such skill and courage. Some I will never be able to use and must leave them as they were created. This exhibit has taken great courage on my part as well. I much prefer the creating process over the presentation. It took courage just to begin this project: to combine the careful work of other women with my own, to combine their colors with mine and to consider their culture with my own. 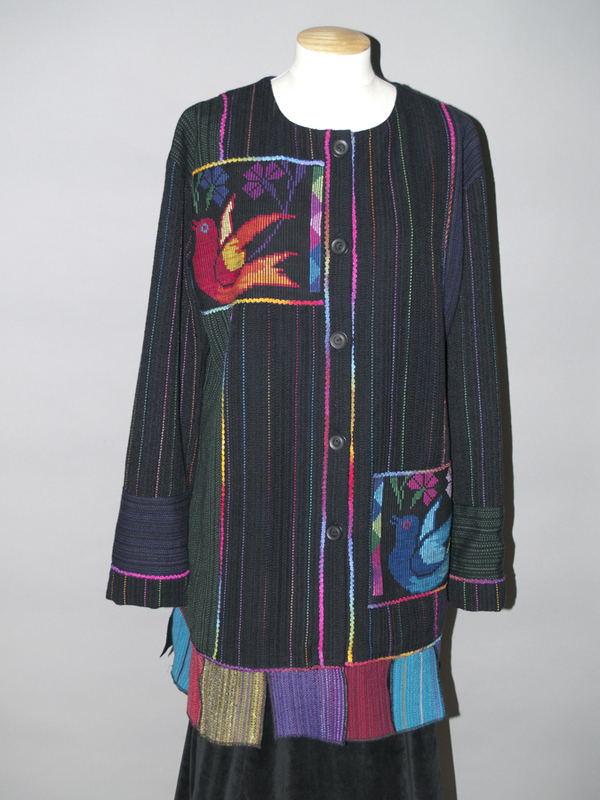 Here I have taken pieces of other women’s work and used it with my own hand-woven fabrics. My hope is that these garments will be worn by other courageous women, passing on small bits of meaning to those who see and touch this work. Each piece is indeed shouting from my heart to the women whose courageous path in life and whose wonderful woven cloth will continue to inspire my own life and work.